1. 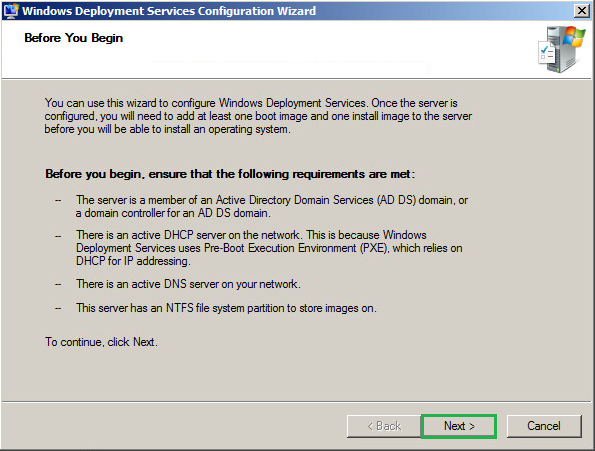 A Windows Deployment Services server must be either a member of an AD DS domain or a domain controller for an AD DS domain OR it can be on a standalone server. 2. You must have a working DHCP server with an active scope on the network because Windows Deployment Services uses PXE, which relies on DHCP for IP addressing. 3. 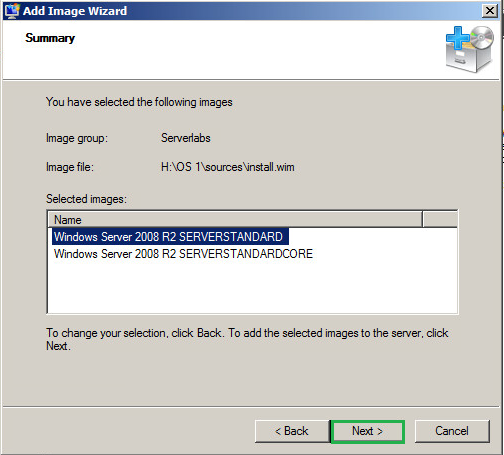 The server running Windows Deployment Services requires an NTFS file system volume for the image store. 4. You must have a working DNS server on the network before you can run Windows Deployment Services. Let us consider the scenario that when you are preparing a data center or an organization for first time, it is really necessary to have multiple computers with necessary operating system. It's a headache for administrators to get it done manually on each computer and WDS will help you to get it done automatically. 1. 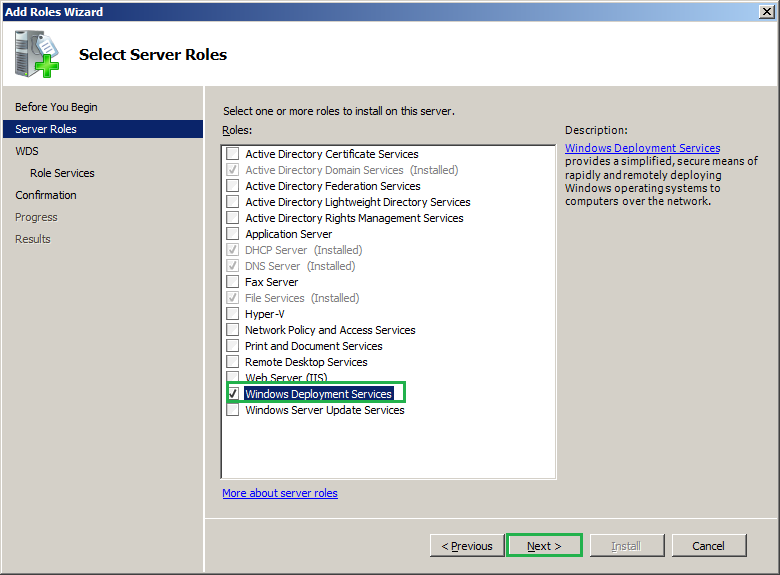 It’s a server role and you can get it installed from server manager. Open Server manager and click on Add roles. 2. Click Next if you are presented with Before you begin window. 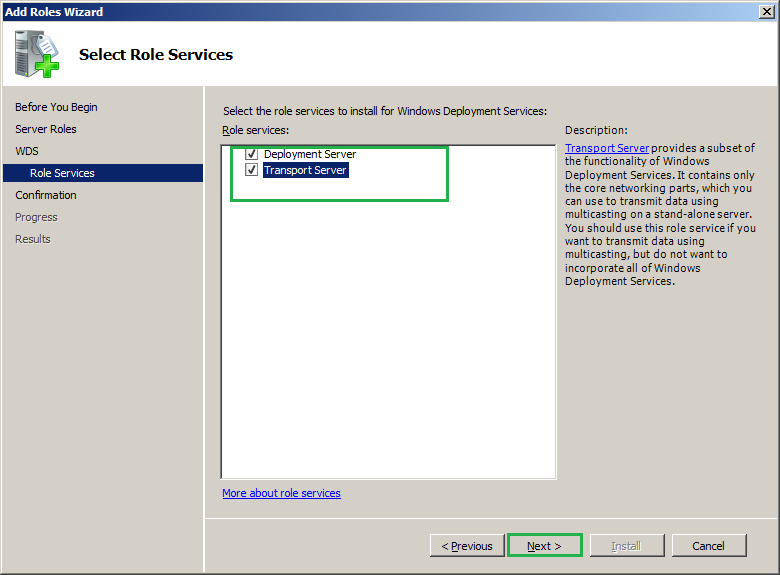 Tick the check box against Windows deployment service on the window select server roles. 3. Click Next on Over view of Windows deplyoment service. 4. 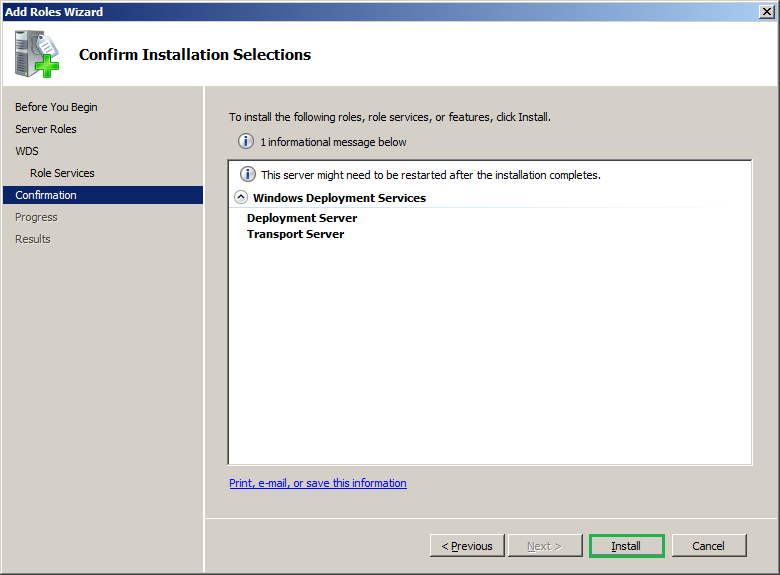 Now you have two options to select Transport Server and Deployment Server. Deployment Server enables the end-to-end Windows Deployment Services deploTrayment solution. nsport Server is a platform that you can use to create a custom multicast deployment solution. If you would like to know more about these services you can look at the MS article http://technet.microsoft.com/en-in/library/cc725964(v=ws.10).aspx . I would suggest to select both the option and click Next to continue. 5. Click Install on confirm installation selections window and wait for it to complete. Once completed, close the window. 6. So this completes the installation of WDS roles. Now you need to configure the server and the below steps will help you. 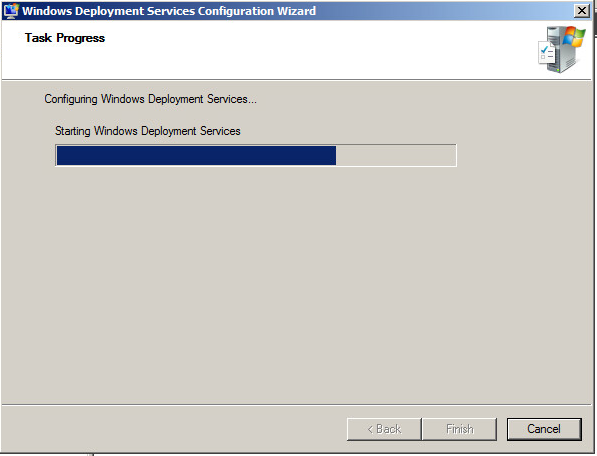 From start menu Administrative tools->Windows deployment service. 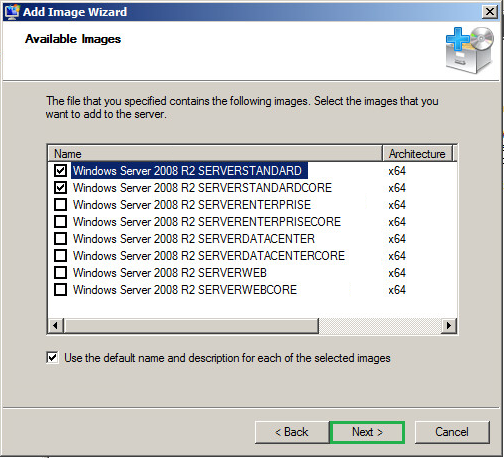 Expand servers and right click on your server->Configure Server. 7. We have already discussed in the prerequisites of WDS and next windows repeat the same. Simply click Next to if you have already met these. 8. Now you need to specify where you want to save the configuration files that includes boot image, install image and network drivers which is called as remote installation folder. By default remote installation folder will be pointing to windows system drive(C:\)but it is not recommended to install remote installation folder on this drive. So I am changing the folder to H drive ,create a new folder named as 'Remoteinstall' and browse the location over here and click Next. You can keep the default location as well but make sure to click YES on the System volume warning to continue. The problem that you may face in this case is that whenever the number of boot image, Install image and network drivers are increasing the free space on system volume will reduce and this can cause performance issues. Do not respond to any client computers- This defines WDS servers to do not respond to any clients and you cannot get any of the WDS operations as active. Respond only to known clients computers- WDS will respond only to the clients that are known. We will define the clients as known or unknown based on its entry in active directory. You can authorize a client computer as known based on the clients MAC address or GUID and this process is known as Prestaging . I believe this link will help you to http://www.windows-noob.com/forums/index.php?/topic/506-how-can-i-prestage-a-computer-for-wds/ get it done. 10. Now the configuration process will start and wait for it to complete. Click Finish on operation complete window. 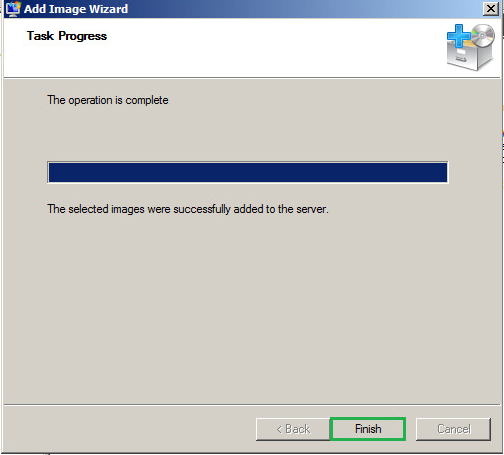 Untick the default option Add images to the server now and cli ckFinish. So the above steps completes basic configuration of WDS server. Now you need to specify the boot image and install Image. 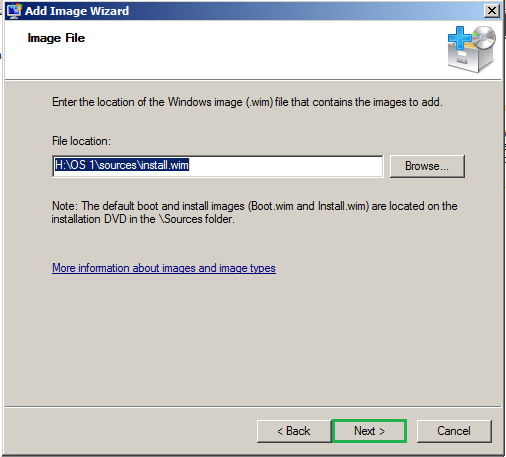 Boot images- Boot images are Windows PE images that you boot a client computer into to perform an operating system installation. A boot image will contain the complete contents and structure of a Computer storage media. 1. 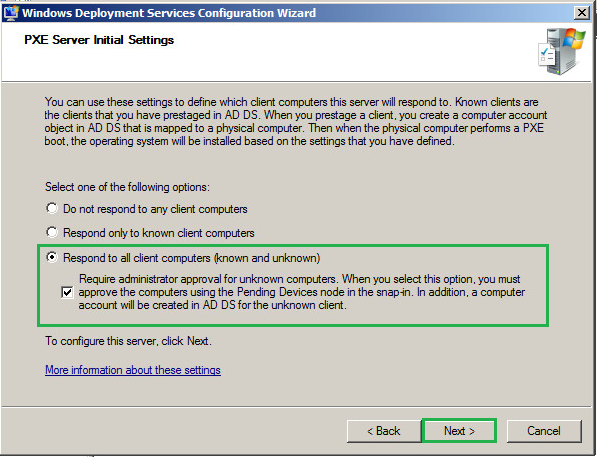 Open windows deployment service and expand your server name. Right click the section Add install image. 2. 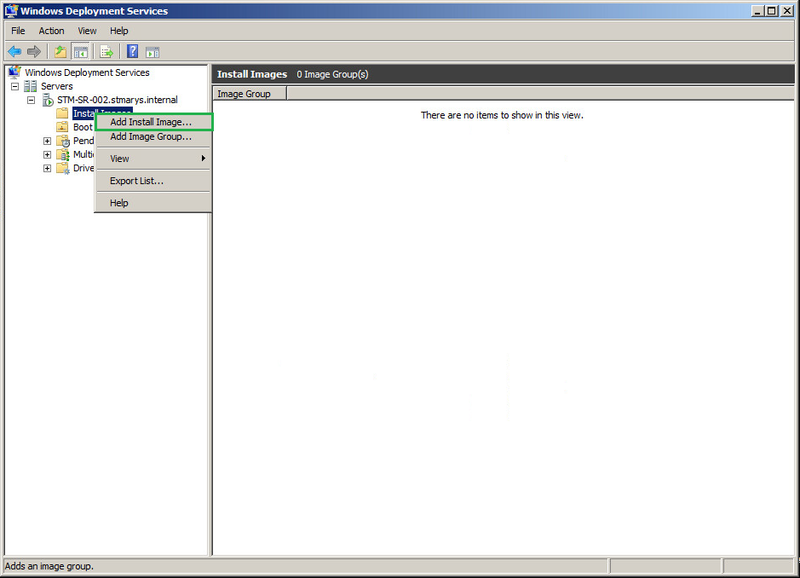 You can specify the install image group as required. 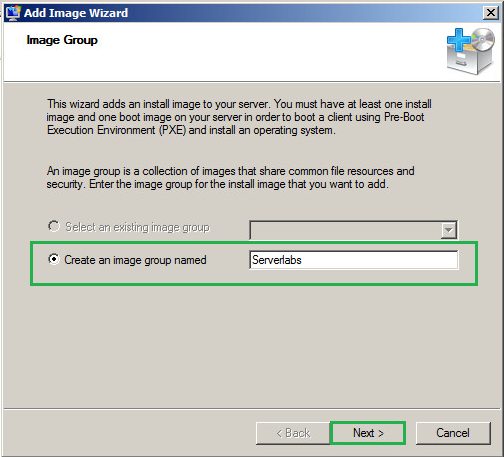 Since I am creating the install image for first time select an existing image group will be disabled. 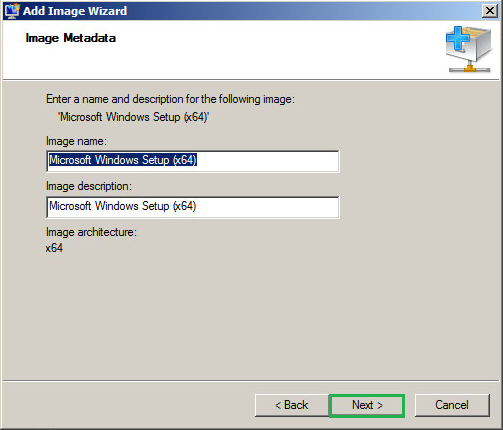 Specify an install image group and click Next. 3. 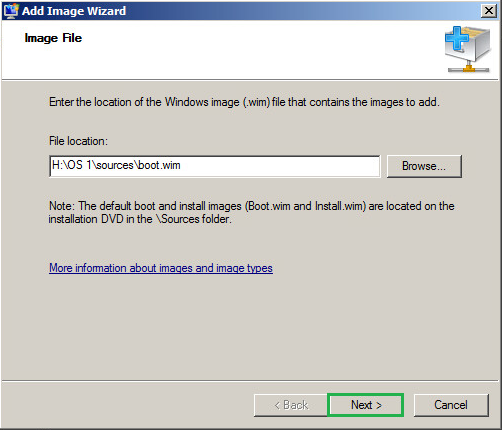 The install image(install.wim) will be available inside the source folder of operating system CD. Browse the file and click Next. 5. Review the details on the summary window and click Next to continue with the configuration. Else press Back to change any of your previous selection. 6. This will start the configuration. When it finishes click Finish to close the window. 7. Once you click Finish you can see the install images are added into WDS console. 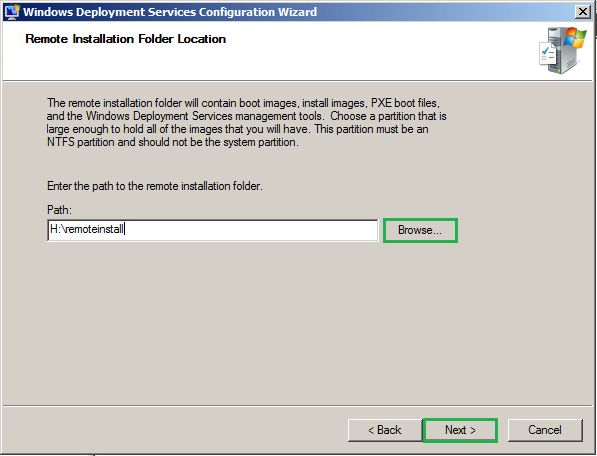 This completes the steps for adding install image and below steps will help you to add the boot image. 1. 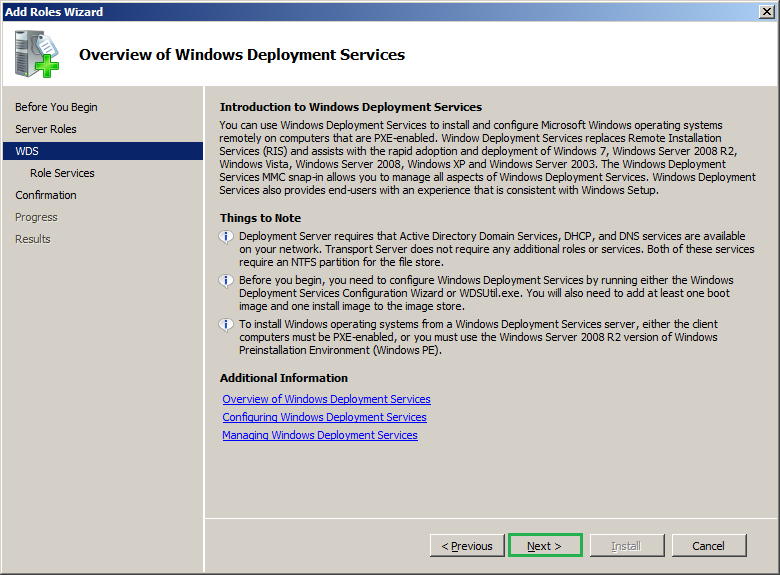 From windows deployment service console right click Boot images and select Add boot image. 2. 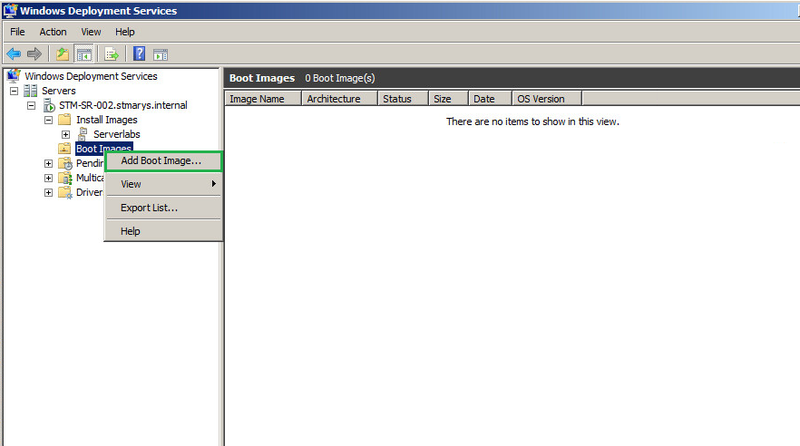 Browse and locate the boot.wmi file from the product CD and click Next. 3. 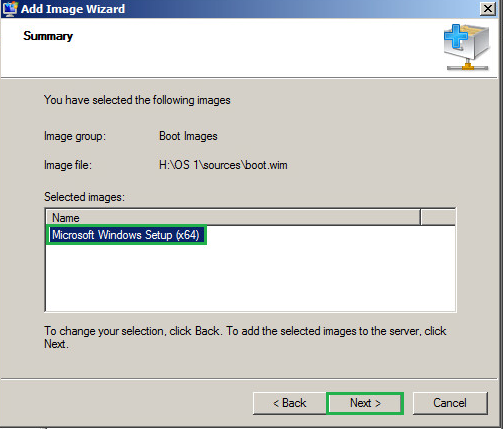 Based on the boot.wmi details the image name and image description will be named automatically. You can either keep the same or edit these details, Click Next. 4. 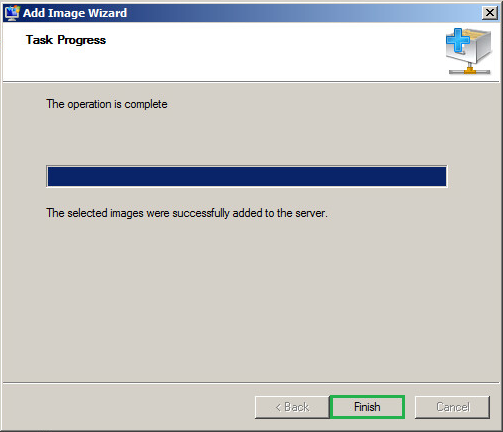 Select the image on summary page and click Next and Finish when it completes. 5. You can see the boot image is added on WDS. 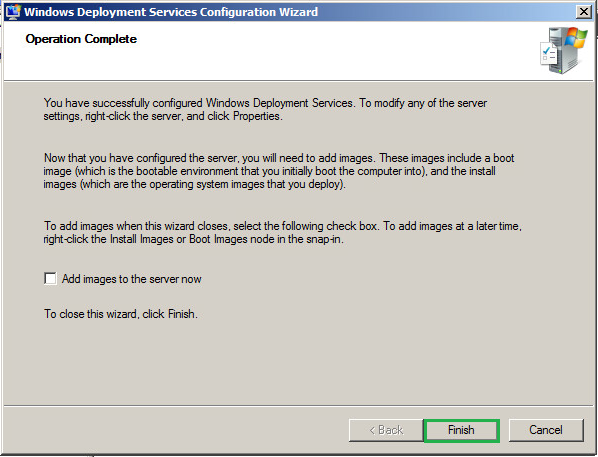 This completes the configuration of windows deployment service server configuration. Now reboot the client and make sure that you are pressing F12 to boot the hardware into PXE. If you have failed to press F12 the operation will fail with the below error. Wonderful article with informative content about windows development. Thanks for spreading useful information.